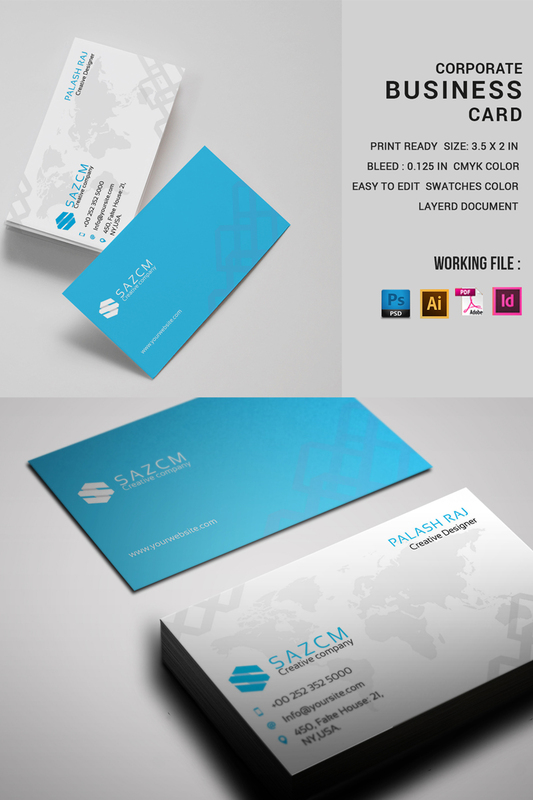 Creative Corporate Business Card Template. DIY Editable Business Card for Any company or personal use. - Files included: Photoshop cs6 (psd), InDesign cs6(Indd), InDesign cs4(Idml), Pdf, Illustrator Cs6(Ai),Illustrator Cs (Eps).